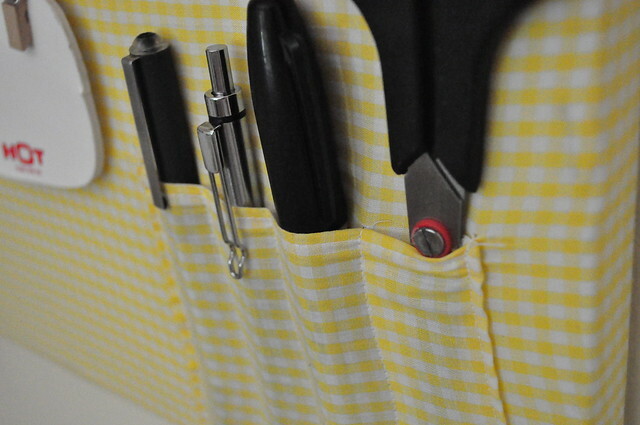 I found another use for my beautiful apple fabric that just makes me happy when I look at it: a French memo board for my kitchen. I used an old canvas, sewed two pieces of fabric together, stapled them on and added some ribbon. I hand sewed some buttons on and that's almost it... Now I finally have a place to put some of our pretty postcards and wedding invitations. 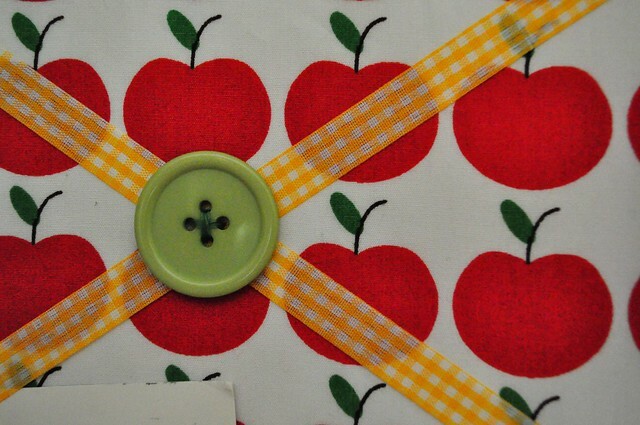 apples, gingham and big buttons, what more could one want? ﻿﻿The canvas I had sitting around was quite large, so I decided to divide it up a bit and add some handy features on the bottom part that are not typically included in the French memo board.... like a "clothes line" to hold some note pad or take out menus and stuff like that. 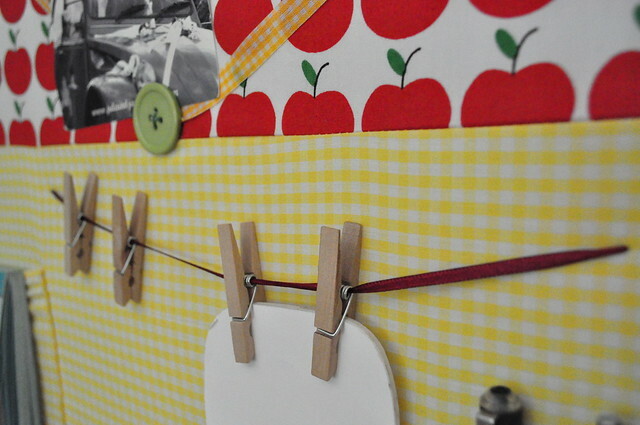 It's just a piece of ribbon with some clothes pins on it. I stitched it through the cover fabric and canvas with a large needle and tied a knot on each side of the line on the back of the canvas. 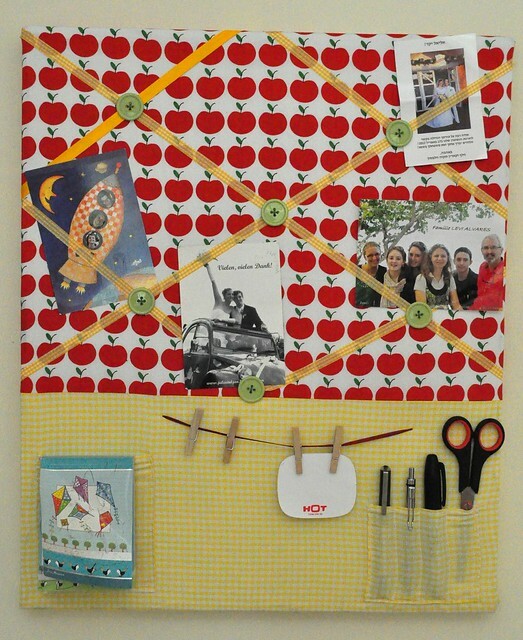 ﻿﻿﻿﻿ ﻿And that's it - my new French memo board. Been trying to figure out something for over my cutting space. This is perfect! Thanks for the inspiration! Thanks for the comment. I am glad you found it inspiring.